We treat patients like family at Omene Family and Cosmetic Dentistry, making your oral health our number-one priority. 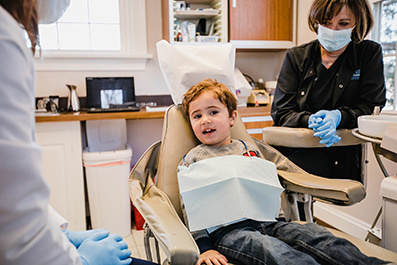 With a wide range of available treatments, our dentist, Dr. Guila Omene, cares for patients of all ages and our talented, personable, and energetic team help you feel right at home. In addition to providing family and general dentistry services, we offer cosmetic dentistry to enhance your smile, facial aesthetic treatments (Botox and Juvederm) to help you maintain a more youthful, radiant appearance, and pain management treatments for headaches and TMJ (temporomandibular joint) pain. We invite you to experience the difference our practice makes and receive exceptional, professional dentistry in Paoli, Pennsylvania. We also welcome patients from surrounding areas, including Berwyn, Devon, Exton, Frazer, and Malvern Pennsylvania. Dr. Guila Omene and her team are dedicated to providing each patient with exceptional, personal dental care. 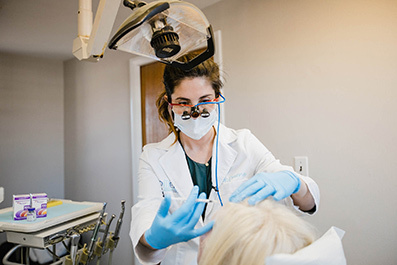 Our experienced and talented dentist received her education in general dentistry, but has emphasized her training and experience in aesthetic and cosmetic dentistry. Dr. Guila Omene and our team have a way of connecting with patients and providing necessary or desired treatments in a gentle and efficient manner. At Omene Family and Cosmetic Dentistry, we care about more than just providing high-quality dental care; we care about you and helping you achieve a smile that you love. Come visit one of the most talented facial and dental aesthetics dentists in the region, Dr. Guila Omene. In addition to providing a unique range of services, our dentist performs each procedure with great care and impressive skill. This care is also evident with how our dental team interacts with patients. From the first time you call or visit our office, our team will give you the attention and personalized care you deserve. We strive to always do our best and increase our knowledge every day so we can ensure that you always receive the best dental and patient care possible. Come by for some coffee and banter, or to pick up some free brushes, paste and floss. The General and Cosmetic Dentist for Main Line Health Perks Program. © Copyright 2018 Gulia Omene DMD LLC. All Rights Reserved. Website Designed by The Marketing Department, Malvern PA. Enter your birthday to receive a special gift on your big day from Dr Omene and the Smile Docs team.